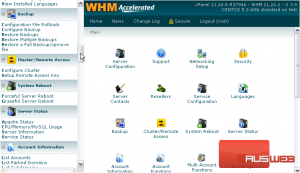 Remote Access Keys are used by external servers and software to communicate with your cPanel & WHM server. In particular, the access keys are used by the servers in a DNS Cluster to communicate without needing each of the others’ root passwords. 1) To find and regenerate your server’s Remote Access Key, scroll down in the menu to Cluster/Remote Access. 2) Click Setup Remote Access Key. Here is your current access key, in the greyed-out text area at right. 3) Press this button to Generate a New Key. You should have noticed that the contents of the box changed as soon as we hit the button. 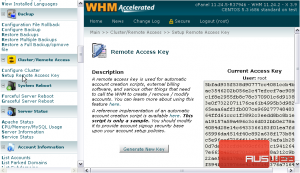 The remote access key has now been changed. Because this key is used to gain root access to your server, it is of course very important that you don’t let it fall into the wrong hands. Treat it as you should your root password. This completes the tutorial. 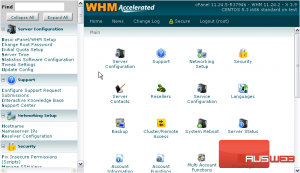 You now know how to regenerate and use your Remote Access Key in WHM.